Your team's default hours and work days are set in Account Settings, but what about when you need to schedule part-time employees or contractors? 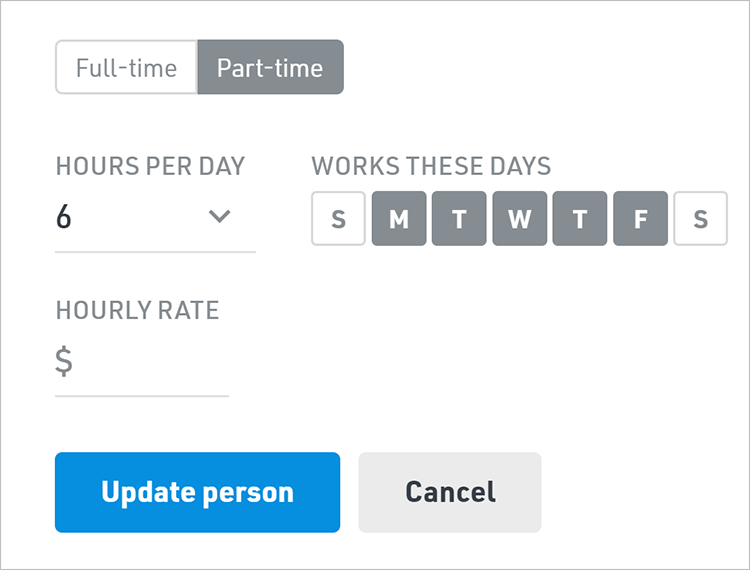 You can set custom hours per day and the number of days per week for individual users by clicking the Part-time box from the People menu. Once set, their new availability will be displayed on the Schedule and in Reports.